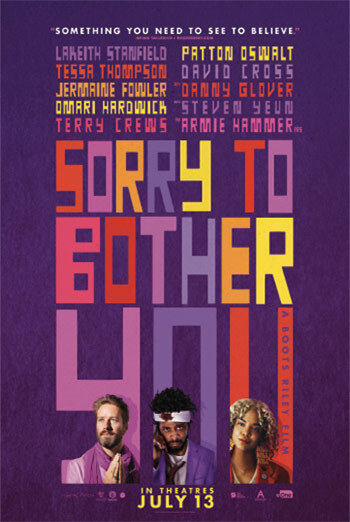 Sorry to Bother You, but go see this film! I laughed and nodded my head throughout this movie that absolutely nails where we are as a country (and have been for some time). The acting is superb, the visuals are amazing, and the music is a perfect fit. Best of all, I left the theater feeling like there’s hope for us after all. SORRY TO BOTHER YOU shows us how it can be done.